90-something % of people claim they are an Entrepreneur but in fact are actual are Wantrepeneurs. What does that mean? Nowadays, there are many people who don’t want to climb that corporate ladder or work for these corporate companies. They would prefer to be their own boss and take control of their own professional lives by building their own business or empire. 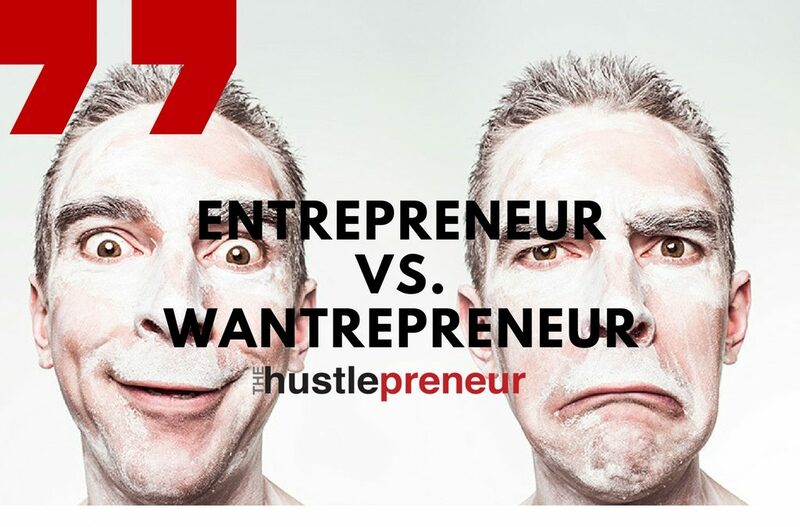 But there are big difference between being an entrepreneur and wantrepreneur, meaning you want that entrepreneurial life but don’t execute it or pull it off. 1. Entrepreneurs: driven by their passion. Wantrepreneurs: are interested in someone else’s passion. You cannot force yourself to be passionate about something if you don’t love it. You don’t choose your passions, they choose you. An entrepreneur become successful because they do what it is they love and love what it is they do. Wantrepreneurs, on the other hand see what is proven successful by others and think that is what they need rather than want. 2. Entrepreneurs are innovators. Wantrepreneurs are procrastinators. Entrepreneurs understand that an idea doesn’t have to be unique, different or original to allow to be successful. They don’t sit on their asses, waiting for the light bulb switch to turn on. Most times, the ultimate ideas come from seeing what already exists that needs improvement or where a gap is that needs to be filled. Most entrepreneurs, when starting their business venture do so much research, looking for something they could not find anywhere else. A wantrepreneur tends to obsessed about coming up with the perfect idea or what they think is the next big thing that will make them millions quickly. 3. Entrepreneurs accept failure and move on. Wantrepreneurs are prone to defeat. All successful entrepreneurs will at some point meet failure. But they don’t give up. They carry on and most times, more determined. It’s where you will realize whats real from unreal. Doesn’t matter how much time, money and effort was invested. Learning from your failures will help you to reach success later on. Trial & error is key to the entrepreneurial growth to success. A wantrepreneur, once they meet failure. They will defeated, discourage and quit all together. 4. Entrepreneurs strive to be the best and wantrepreneurs just want to be rich. Entrepreneurs aim to be someone who helps leaders become leaders. They become role models and want to be the best within their industry. They do it for the love of their passion and to them, money is just a bonus. A reward for doing great things. Entrepreneurs want to leave their mark in this world to encourage and inspire others to live their dreams. They believe in their passion before making profits. 5. Entrepreneurs work hard to achieve what they want. Wantrepreneurs, wait for most things to be handed to them. Entrepreneurs work hard to getting additional funds for their aspirations. They look for ways to raise capital for their business ventures. They do not wait to receive funding just to start. Wantreprenurs, on the other hand will sit and do absolutely nothing unless they get receive the funds or capital they think they need to get a business rolling. 6. Entrepreneurs care about their business. Wantrepreneurs care about their image. Entrepreneurs are always too busy to worry about what the people around them are thinking about them. Wantrepreneurs looks for shortcuts. They have no patience to work hard building their business. They waste time creating an image of a successful business for other to believe in when in all actuality, they don’t have anything done. 7. Entrepreneurs are lifetime students. Wantrepreneurs work based on the few courses they took. Entrepreneurs love to learn everyday. They love challenges. Not necessarily learning in a classroom. They learn by getting out their in the real world. Learning from their failures. Learning from their mentors even learning from those they inspire or by sitting in a cafe over good conversation. They are passionate about learning as they are about their business. Their minds are always open. Wantrepreneurs think that taking a few classes and reading a textbook or two is all they need to succeed. They are more closed minded and don’t think outside of the box. Not to say, it’s not good to be book smart, but it also pays to be street smart. 8. Entrepreneurs take risks to be successful. Wantrepreneurs want the success now. Entrepreneurs give it their all. They live by the thought of ” I have nothing to lose but everything to gain”. They know that the world of business is tough and competitive and that only a small percentage survive this shark filled tank. They risks their financial livelihood, their circle of friends, their image and even their own business and they aren’t afraid of losing it because they believe so much in their product, service or business. They understand that there are risks involved to become successful. Living the entrepreneurial lifestyle comes with sacrifice. While entrepreneurs would love to to have a nice steak dinner all the time. They don’t mind living off a can of sardines or instant noodle soup. They know all this yet they put out. Pushing your ideas doesn’t mean you have to look the part. It means you have to work harder and smarter to reach your goals. Wantrepreneurs are mostly talk, no action. They back out when they feel they need to lose something to gain something. They just want to go in with a sure bet to success. 9. Entrepreneurs, execute. Wantrepreneurs make excuses. Pessimism would be the arch nemesis of an entrepreneur, if an entrepreneur would be a super-hero. Being an entrepreneur is about following through. Going beyond your limits with determination and coming face to face with failure but never backing down. Wantrepreneurs, are like sore losers. They make excuses such as, “I don’t have time, I’m too busy with other things, I don’t have enough money.” They want to be their own boss but they’re stuck in the employee mentality. They make excuses not to even try. They complain when it starts to get hard and quit. 10. Entrepreneurs believe that their team is everything. Wantrepreneurs think the business is about them. Not only does an entrepreneur believe in themselves. They believe in their team. The understand that their team is what helps the business succeed. They know they can’t do it all on their own. They know the value leadership and teamwork. Entrepreneurs know that their team is essential to growth of the business to succeed. A great idea starts with the right leader and with the right people to organize and work together in all ways possible. 11. Entrepreneurs adapt. Wantrepreneurs call meetings. When things change in the environment of the business, an entrepreneur will adapt quickly and would find opportunities with the changes. 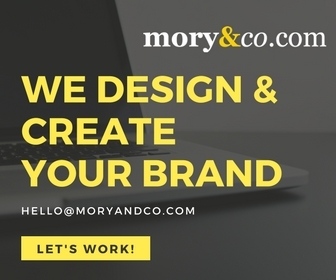 Whether it’s tapping into another market or a better and refreshing way of initiating things. Wantrepreneurs are likely to be left behind because they are too busy discussing every single aspect of the change. They are shaken by change. They hate change. They only want what they’re used to doing. As Mark Shuster would say it, Wantrepreneurs are the 90-something percent of people who know they really want to do something but are missing the important ingredient of becoming a successful entrepreneur and it’s the willingness to take action. Getting started is the vast majority of what creates the people who end up building the business for the people who don’t. So there is never a perfect time to start. You will always think that you’re earning a lot at work, you have other activities, you may have other costs in your life. But starting is the surest way to figure whether or not you have what it takes to be a real entrepreneur. into writing an amzing article. I really appreciate yourk work mate.